Infusionsoft provides a variety of services that businesses can use to their advantage. Here are the top 10 benefits Infusionsoft integration can offer. For small business owners who feel overwhelmed by all the demands of marketing, Infusionsoft integration is the answer to their prayers. The system provides a wide range of services like marketing automation, e-commerce, and customer relationship management — all at a price small business owners can actually afford. Plus, Infusionsoft centralizes everything. No more headaches trying to sync data across multiple platforms! The software has become massively popular, but there’s even more to it than people realize. There’s a wide variety of services that small businesses can take advantage of — read on to find out the top ten benefits of Infusionsoft integration. 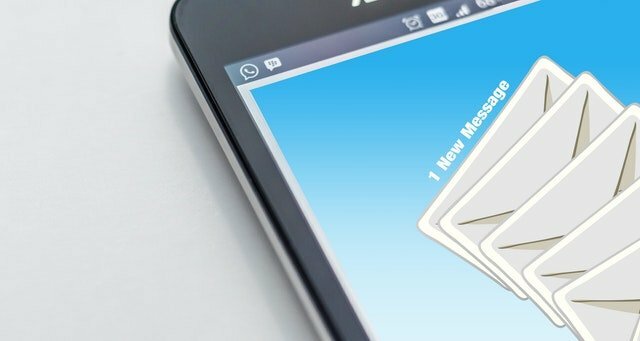 White collar Americans now spend more than six hours a day checking email, which means email marketing has become an essential part of a business. Without the right software, though, email marketing can just be an unproductive drain on your time. Infusionsoft integration can help you send personalized messages at just the right time, based on each customer’s activity that the software has saved within the system. Part of the reason that email marketing is so successful with Infusionsoft is that it allows you to segment your customer lists. Separating your customers into target groups used to take forever, and could seem like more trouble than it was worth. Infusionsoft has an easy tagging system so that you can divide people according to your own criteria, then send emails or targeted campaigns based on the lists you’ve created. You’ll be able to deliver content that’s relevant to your lists, which will help increase engagement! The email marketing aspect of Infusionsoft integration can also be automated so that you don’t have to manually send emails each time. Did a customer leave items in their cart without purchasing them? Automate an email! Want to send a welcome message to new newsletter subscribers? Already done for you! You can also program certain actions to happen as a visitor is moving through your webpage. For example, Infusionsoft can automatically assign a lead source to a new visitor so that you have that information at your fingertips. One of the biggest selling points of Infusionsoft integration is that it puts almost everything small businesses need for marketing into one system. In the past, you’d have one system for your online marketplace, another to handle your email list, yet another to track leads…the list goes on. Infusionsoft gets rid of the confusion and lets you do all of that in one place. It’s not just automation that saves business owners a lot of time and money — the structure of the software just makes everything easier. 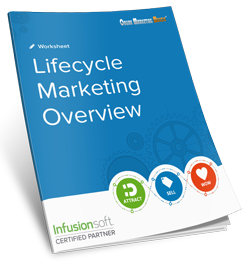 If you’ve only heard about Infusionsoft in passing, chances are you were thinking of it as a Customer Relationship Management (CRM) software. This is just one of the functions of the software. If you already have a system set up, don’t worry. The company has made sure that Infusionsoft integration will work with various existing support, marketing, and customer service software. If not, use it to track things like your leads, prospects, and existing customers to make the most out of your marketing strategy. What if you have data from your online store, data from an email list, and data from an existing CRM software? Infusionsoft integration will sync all of the above to create a flawless way to manage whoever interacts with your business online. Not only can you process payment and create invoices within the system, but the synced data will let you create new marketing plans. Track what customers have purchased before, and send them targeted emails and promotions based on their past activity, or create templates to sell your products or services online. Of course, part of why Infusionsoft integration is so successful is because of the range of apps it supports. There’s no need to completely ditch systems you’re currently using in order to make Infusionsoft work for your business. Use Xero or Quickbooks? Your records will automatically sync, no problem. Already have a payment gateway? Sync it with Infusionsoft to reduce double entries and save yourself a ton of time. If you use a platform that isn’t currently supported, the software does work with Zapier, which helps it to communicate with other apps. Infusionsoft also lets you track your visitors so that you can continue inviting them to engage with your business online. The software comes with a pre-built lead capture form, so you can invite casual visitors to fill out a fast and easy form to receive more information from you. Their names and email addresses will sync with the CRM, which lets you manage the relationship from there. Maybe you don’t even have a marketing strategy that you’re hoping to launch with the help of Infusionsoft. That’s okay — you can build a new one with the software. The Infusionsoft team knows that small business owners don’t necessarily have the time to learn everything there is about marketing on top of actually running their business. So they’ve made it easy to learn lifecycle marketing, create and manage a marketing campaign, and much more. Everyone is interested in seeing their business take off to new heights. However, you’ve got to be careful to scale your growth so that it doesn’t escalate too quickly and become unmanageable. Infusionsoft lets you handle all of your mundane tasks easily while focusing on the long-term growth of your business. Let the software automate the small things while you analyze the big picture! See What We Can Do For You With Infusionsoft Integration. Scaling your business is hard no matter what. We’re here to help you with that. Ever wished that there was more than one of you to finish everything that had to get done? We’ve created a system with Infusionsoft called “Clone the Owner,” which helps you both boost your productivity and grow your business. Learn more by downloading our free e-book! DISCLAIMER: Online Marketing Muscle is an Infusionsoft Certified Partner.